Perfect World Entertainment, Inc. and Cryptic Studios are pleased to announce Shadowmantle, the second free expansion Module to Neverwinter, the widely-acclaimed free-to-play action MMORPG set in the Dungeons & Dragons Forgotten Realms universe from Wizards of the Coast. Featuring the new Hunter Ranger class, and currently available on Neverwinter’s public test shard, Shadowmantle releases later this year. 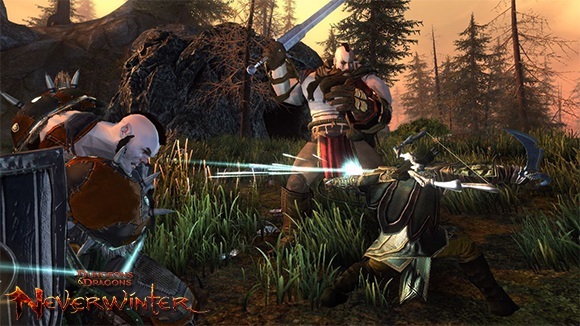 In this second free update, players travel to Neverwinter Wood’s’ deepest region, discover new artifacts, and even choose a second paragon path. Shadowmantle, the second Module for Neverwinter, is a free content expansion in which players tackle the Dread Ring campaign. Deep within the Neverwinter Wood lays the Dread Ring, a massive structure built for ritual magic. Players explore this broken but still powerful region and fight Valindra Shadowmantle’s army, including an epic battle with the lich herself. In addition to the Hunter Ranger class and new playable content, Shadowmantle features new collections, artifacts, and Paragon Paths. According to Polygon, DOTA (Defense of the Ancients) 2 will be free-to-play with a twist.